1. It is important to remember that your child’s behavior and rejection of you is a by product of brain washing and that even if your child is being malicious and creating their own horrible version of the truth this is based on the fact that children can only see in black and white or right and wrong terms and they have difficulty discerning the difference between what is truth and what is fiction. Contributing to the brainwashing is the “power of the crowd” phenomenon recognized by psychologists when extended family and friends join in. We all are familiar with this phenomenon because of our own personal experiences and varying levels of this phenomenon and it is key to NOT TAKE YOUR CHILD’S REJECTION PERSONALLY and TO NOT BLAME YOUR CHILD FOR THE PATHOLOGY OF THE ALIENATING PARENT. YOUR CHILD STILL LOVES YOU HE/OR SHE DOES NOT REMEMBER HOW WHILE THEY ARE CAUGHT UP IN THIS SYNDROME. 2. During the discovery and process of PAS it is vital to remember that you may be a victim of PAS but you don’t have to have a victim mindset. It is important to take care of yourself during this difficult time and to love yourself and stay strong and connected for your child. If you do not have a therapist or a coach it is recommended to interview several to be sure that they have a full understanding of PAS and that they caring, skilled and knowledgeable. The acceptance that they give you will be modeled and internalized by you and will become a very vital component to your therapeutic and coaching process. Find ways to nurture and sustain yourself. You know what nurtures you so, do it! Make sure that you include mind body and soul. 3. When your child has refused all contact, repeated contact must be maintained at all times. You as the target parent must call, write, and attempt contact with your child, especially around holidays, birthdays, and other significant occasions. A great way to remain connected with today’s technology is to create a website or an online mode of communication for your child. You can also keep a journal for those of you that do not have any contact with your children create a daily journal where you can share your positive thoughts and feelings if you were having a conversation with your child. This will help you get feel connected to your child and you could provide your journal as a loving gift to your child when you have reconnected and reestablished your bond. Remember that without contradictory evidence, the child has no way to see the alternative reality. 4. During this time of separation it is very important to build inner tools and find inner strength. 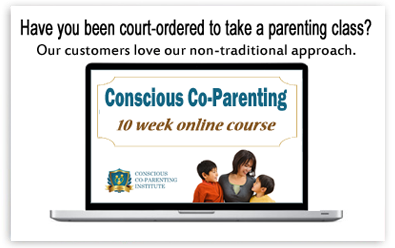 The use of things like creative visualization, positive self thought, and thought-stopping of negativity and the creation of positive images are examples of some of tools that I teach in aiding you in the process so that you may be in the best frame of heart and mind when you reconnect with your child. Some of my clients have visualized things like a bridge or a golden cord extending from their heart to the heart of their child, some visualize with adding a song that they shared with their child or a song that has meanings of love and connection. Some even visualize their child being guided to them by the hands of a divine being. What you choose to do here is what you did when you were with your child that helps you feel connected. Do what you need to do to identify and process what you are feeling because if you feel what you are feeling it will heal you. 5. Develop a spiritual awareness. The use of prayer, different forms of meditation, energy work, affirmations, traditional methods reaching out and building a support system of friends and family members as well as groups of others going through the same process, educating yourself and those around you so that you stay abreast to the latest strategies and developments in the family law. These types of techniques assist in providing hope, inspiration, and perseverance in a situation that seems impossible. They provide a level of “spiritual parenting” and a sense of control in a circumstance that is beyond your control. You are in control of your own life and it is vital to remember to take care of yourself so that when the time comes for you to reconnect with your child you are whole and ready.